CHICAGO (WLS) -- Community activists organized a march to protest police brutality and recent officer shootings of African Americans. Dozens of people joined the "Rest in Peace March" Sunday on the city's Northwest Side beginning at Rosehill Cemetery at Western and Bryn Mawr. 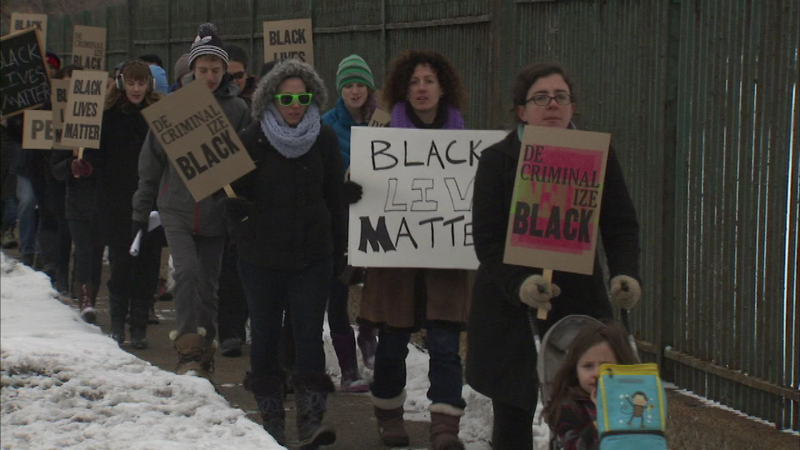 People marched all the way to the District 20 Chicago Police Station located in the 5400-block of North Lincoln Avenue.